Top Doctors and Top Hospitals magazine publication list plaques. The recent supreme court ruling and the subsequent implementation of the Affordable Care Act has made a lawyer and a health care provider and a doctor out of everyone. Although we are certain we have an opinion or two on the issue as a business with a blog and a voice it's best left to the professionals to figure all of this stuff out. What we can do and will continue to do is help provide a wonderful service to those who continue to save lives and create a better way of living and provide care to all Americans. 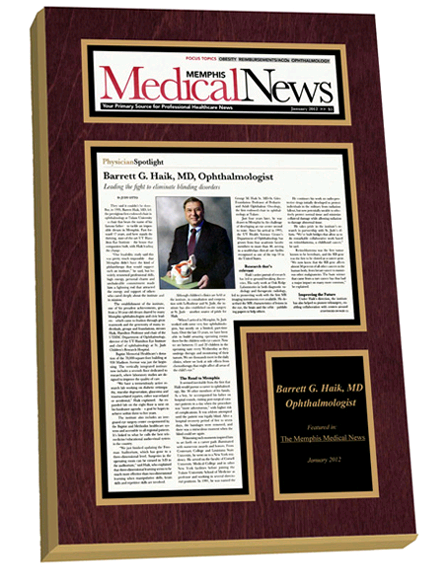 Top Doctors who get reognized by magazines and newspapers along with Top Hospitals can display their features with an In The News wall plaque. 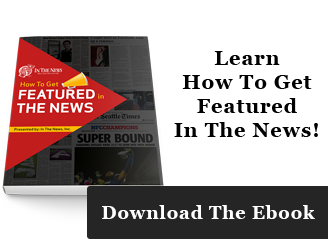 At In The News we see great stories from Top Hospitals who are consistently ranked by their industries magazines by their performance and credibility. We are able to create hand crafted custom wall plaques for Top Doctors lists and Hospitals all across the country in each field listed. One example of a magazine who dedicates a substantial part of their publication to these types of lists is US News World Report. This magazine identifies and ranks the Best Hospitals, Doctors, Diets, Nursing Homes all by research and evaluation. These lists hold a lot of value to the companies and individuals who obtain their names to them. We have found over the years to display these rankings in a professional manner with a custom wall plaque is the best way to honor hard work and recognition in these types of publications. It is no secret a lot of magazines like to publish their own lists identifying those who provide top notch service in there respective areas around the country. In The News has the unique perspective to be able to monitor and call on those who are featured across the country and offer our wall display service. We subscribe to a majority of the magazines that are read and looked at by Top Hospitals and Top Doctors. Are you a doctor, dentist, or other medical professional with a growing practice featured in your local newspaper? 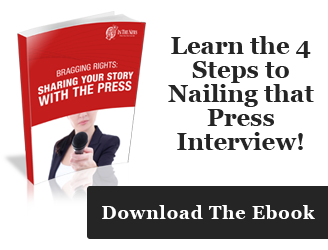 Start preserving your good press now; displaying your success reassures your patients of your credibility. Was your hospital featured in a renowned publication? 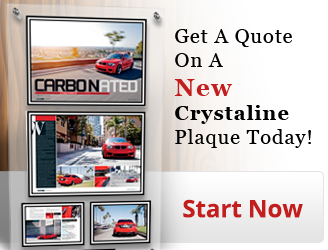 We’ll create a wall plaque that features your magazine or newspaper article. Want to showcase your incredible staff? Utilize a display piece that beautifully catalogs your staff, or use individual plaques to spotlight your star employees. Ready to get started on your display?